Mark and save this date: Saturday, 20th April 2019. This will be a red-letter day as the 'Red Rocker' will be coming to town! Indeed, iconic rock titans Sammy Hagar and the Circle will paint the town red as they make their way to the Concord Pavilion stage. Wild, raucous, rambunctious energy emanating from one of the most illustrious figures of rock n' roll is really something worth raving about. As soon as Sammy Hagar and the Circle dropped the word about this tour, fans of all ages have relentlessly pursued tickets to get first dibs on the mosh pit or get the best seat with the best vantage point for some reelin' and rockin'. Don't miss this exciting moment that could go down the annals of music history. Book your tickets now! Sammy Hagar started his career in the 60s as a musician and performing artists with several bands. He then pursued a solo career in the 70s where he began building his reputation as one of the rock forces to reckon with in that era. At the onset of the 80s, superstar rock band Van Halen announced David Lee Roth's departure as the lead singer of the group. Then just like a piece of a missing puzzle, Sammy Hagar found his place and fit perfectly into that missing spot. With Van Halen, Hagar ripped and roared in concert stages all over the world, along with a slew of best selling records. Solidifying his legendary rock position and capping his stay with Van Halen was his induction into the Rock and Roll Hall of Fame as a member of Van Halen. In 1996, he bid Van Halen goodbye and pursued another phase of his solo career by playing and forming a handful of rock bands. 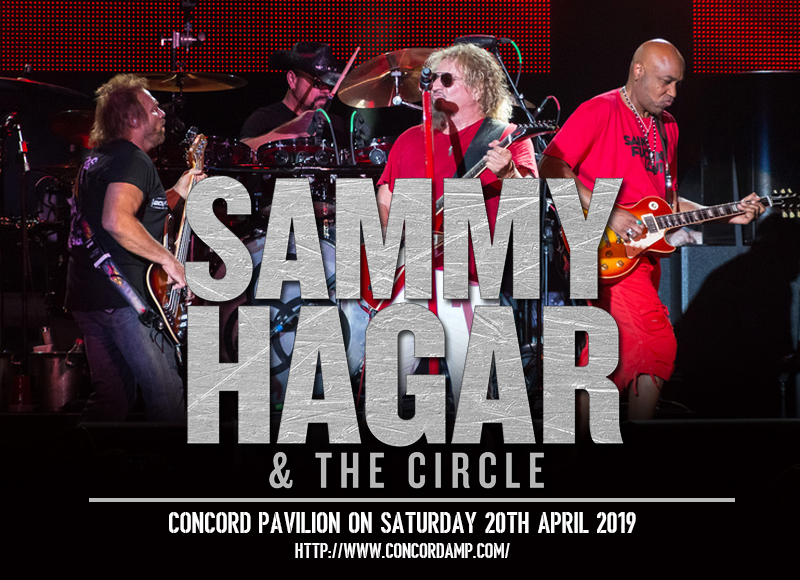 Currently, Sammy Hagar and the Circle is dubbed as a 'supergroup' which consists of an all-iconic line-up which includes consists of Hagar, Vic Johnson, Michael Anthony, and Jason Bonham. And yes, Hagar who's now a seasoned rockstar is not content with resting on his laurels. He is living up to his moniker as the 'red rocker' who is tirelessly pursuing what he loves and does best –being the life, rock, and soul of the party!